Hi there! I don't know about you but one of my least favorite things about the long winter is the havoc it wreaks on our skin! Not only does it cause dryness and flakiness, but the lack of Vitamin D gives it such a lackluster look. 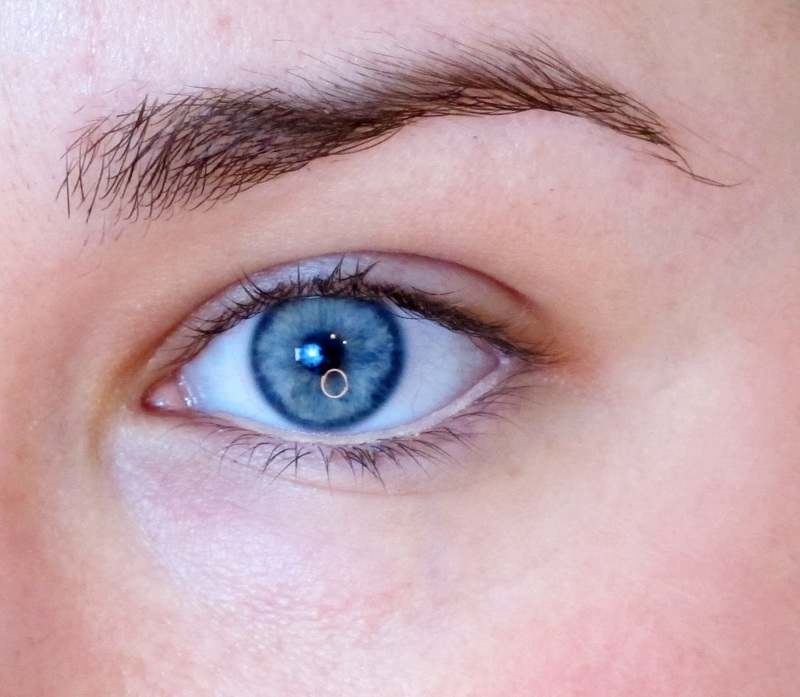 Blemishes also stand out so much more because there is no tan to cover them up! 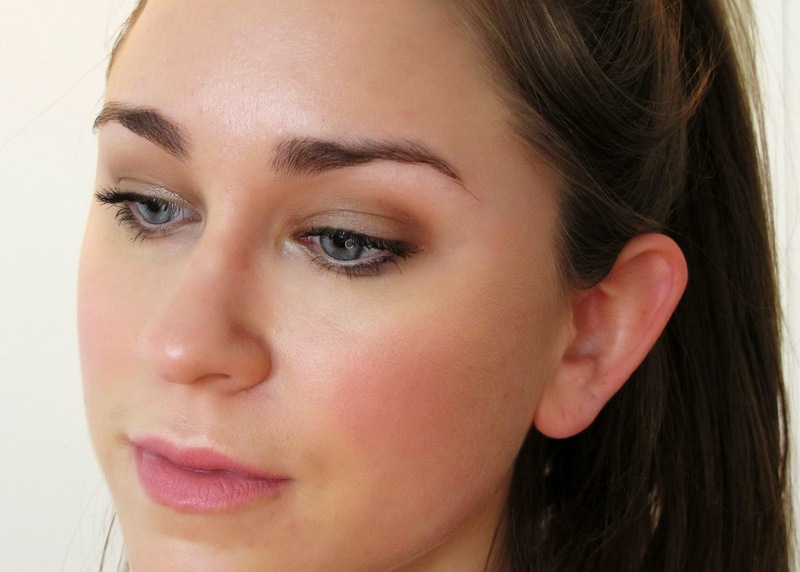 I am SO ready for Spring and to show my excitement I thought I'd do a post on natural, glowing makeup. 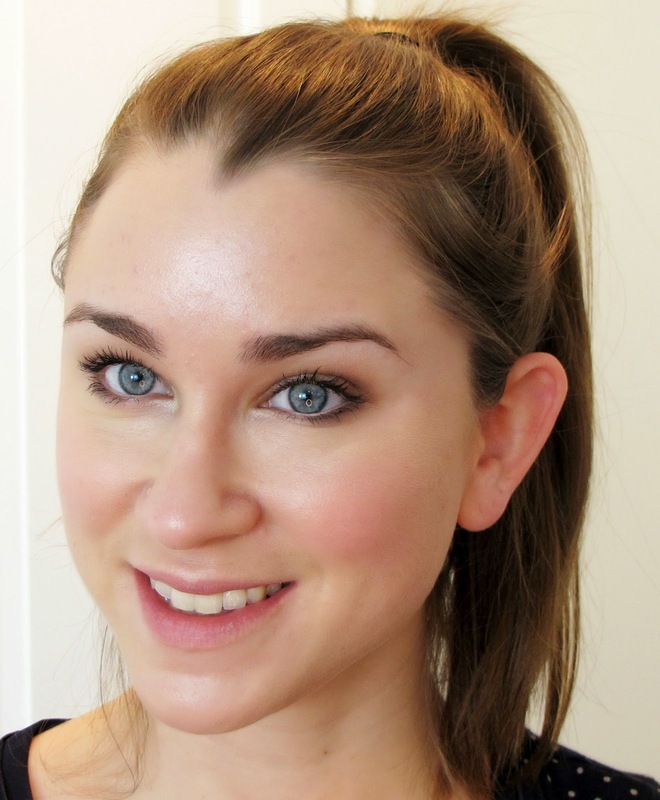 This makeup is very understated with a heavy emphasis on healthy and bright skin. I actually really love the way it turned out and I think it will become one of my go-to's! 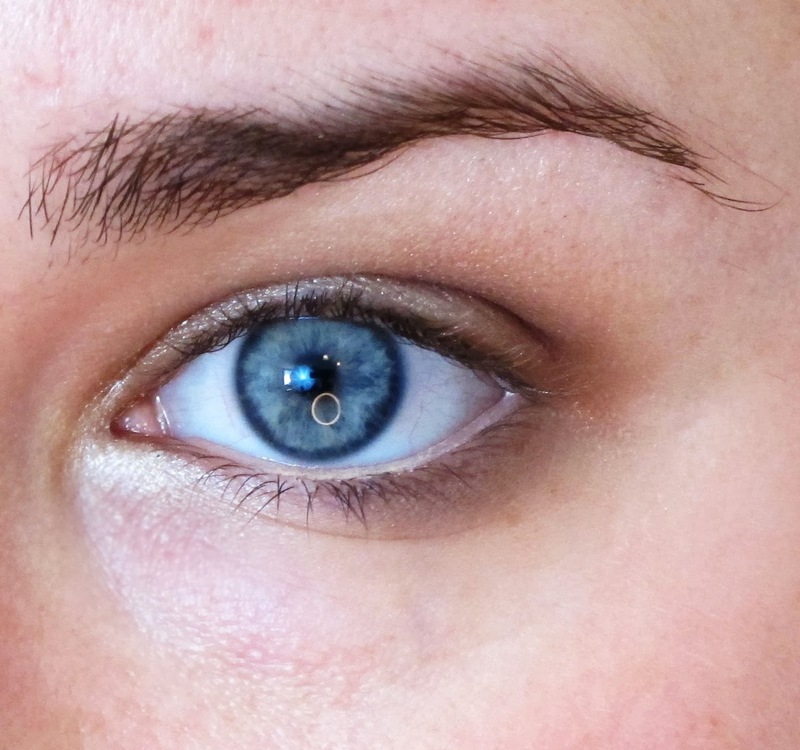 To begin, I used one of my all-time favorite makeup techniques for brighter, more awake looking eyes. I used a flesh colored pencil (Tarte Inner Rim Brightener) and heavily lined the lower water line. 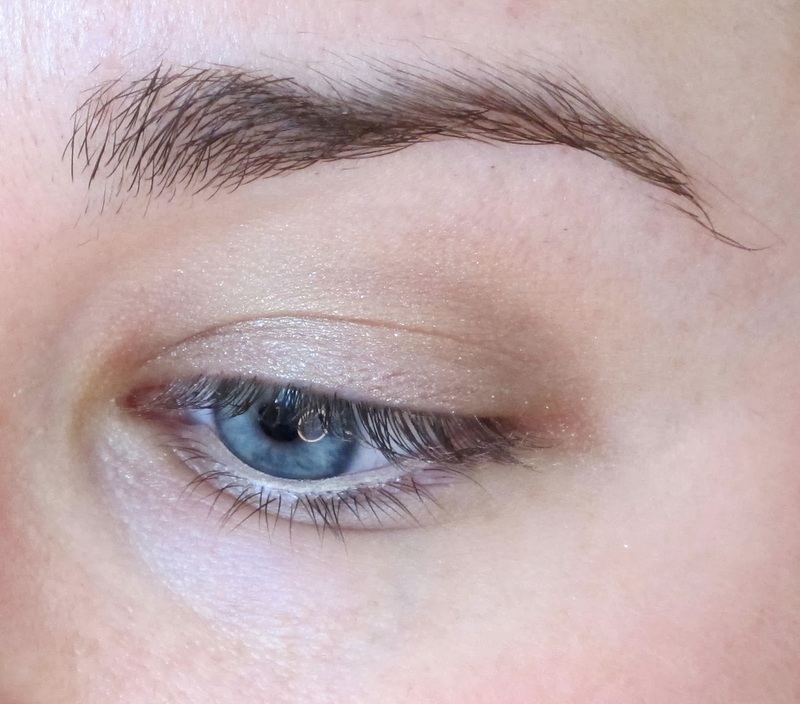 I knew I wanted a really understated and simple look on the eyes, so just to add a little something to the lid I used Almay liquid shadow 'for green eyes.' Its a bronze liquid that creates a very subtle wash of color with some glitter particles, it also acts as a primer! Great for everyday wear. Here I used a fluffy pointed blending brush and a taupe shadow (Tease from the UD Naked 2 Palette). I ran it lightly through the crease as well as along the lower lash line, concentrating on the outer 3rd. This helps to add dimension to you eye while maintaining a super natural look. To really brighten up the eyes, I used my favorite highlighter color (Nylon from MAC), and a pencil brush, and placed it on the inner tear duct area as well as lightly under the eyebrow. Finish off with some mascara. Concentrate it on the upper lashes and on the outer bottom lashes. Now onto the skin. 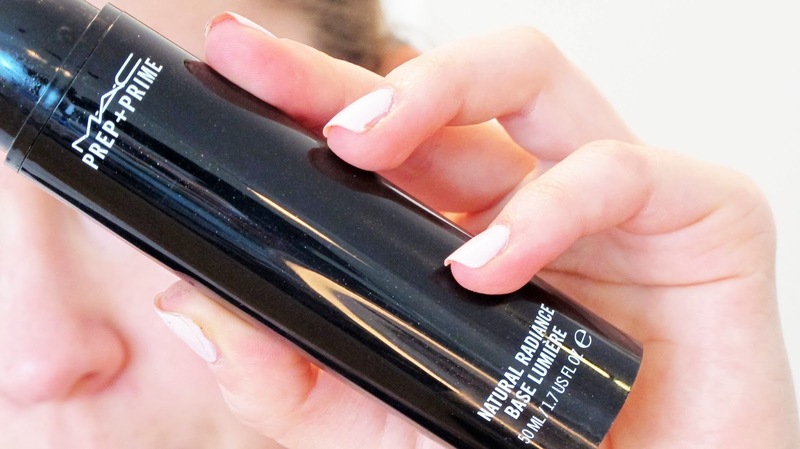 A radiant primer is super important for this look. 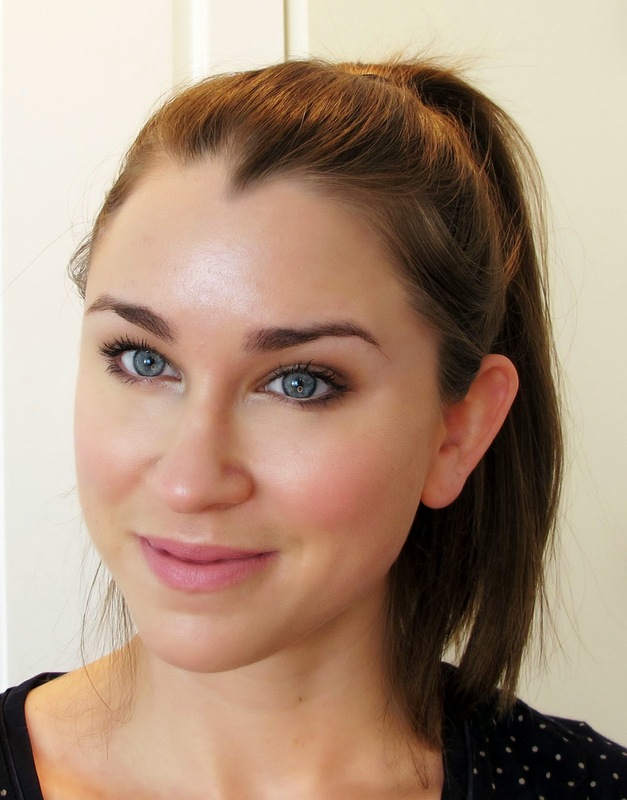 Currently I'm loving MAC Prep + Prime Natural Radiance, but you can find this type of primer pretty much anywhere. 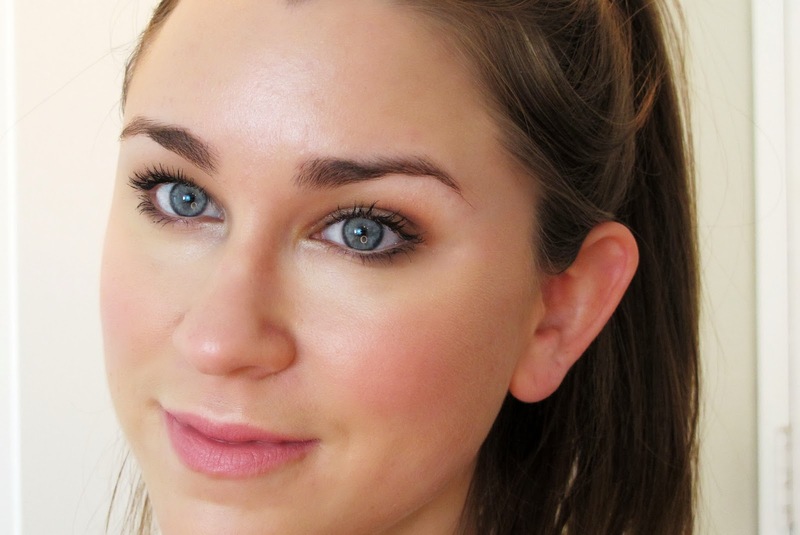 Urban Decay makes a fantastic one and so does Laura Mercier. I use about one pump and dot it around the center of my face, blending outward. The center is where you want the most brightness. As you can see, my skin has been really troublesome lately with a lot of blemishes on my forehead and chin. A primer typically helps your foundation go on more smoothly and helps hide more of these red marks. If you want radiant skin, I highlyyy recommend MAC Mineralize Liquid Foundation. It makes your skin extremely bright and..well..radiant! I do not recommend this foundation for people with very oily skin. I am currently just using a sample, but its really doing the job for me right now! 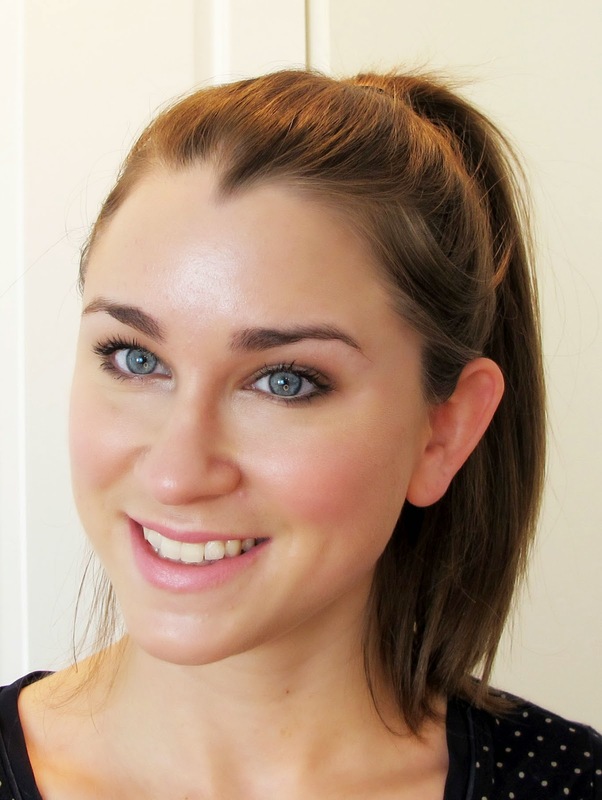 A dupe for this foundation is Rimmel True Match! 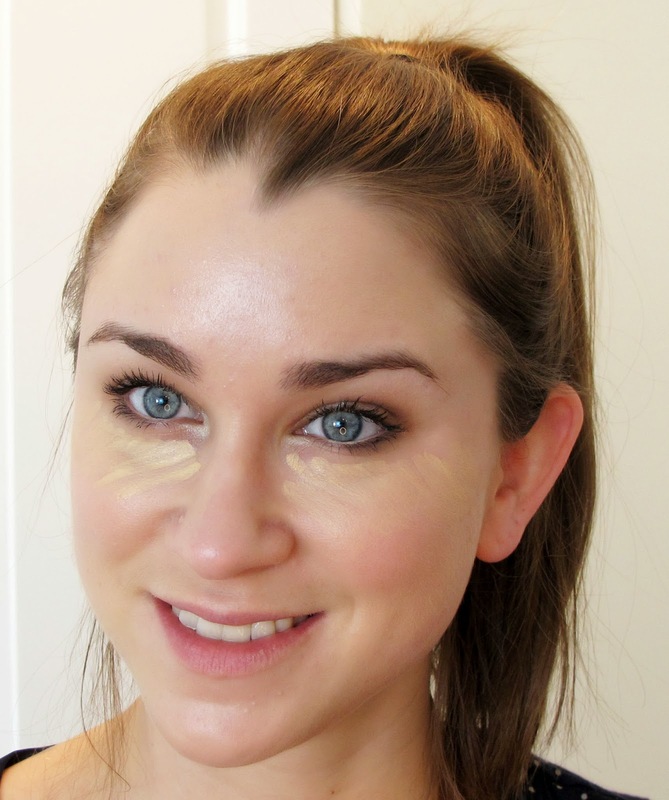 Under the eyes I streaked one of my favorite products, Maybelline Dream Lumi Touch Concealer. I continue to go back to this product because it really is so wonderful! To finish off the skin I applied a nice bright blush (Cargo Ibiza) and some bronzer (NARS Laguna **finally got it!**). I also applied a cream highlighter to the cheek bones and upper lip (Benefit's Watts Up). I did not use any powder at all as our goal is pure radiance! To complete the look add a nice, natural pink lipstick. I adore this one from Urban Decay (Native)!